The new restrictions that came with this year’s school laptops have left some students disappointed. While last year’s models allowed students limited freedoms, such as the ability to change one’s wallpaper, this summer the Maine Learning Technology Initiative (MLTI) and our district’s Technology Department apparently decided to bring all of that to a halt. Though the district would be right to mark their latest effort as a success, the new restrictions have prevented students from solving problems on their own and making the most out of their devices. The additional computer restrictions are aimed at preventing students from accessing games and other school-inappropriate content on the web. While attempts had been made in previous years to accomplish the same goal, this year’s restrictions are far more effective because students have been denied administrator accounts. Finding workarounds for district-or state-implemented restrictions was usually possible, but finding ways to bypass Apple’s operating system cannot normally be done. 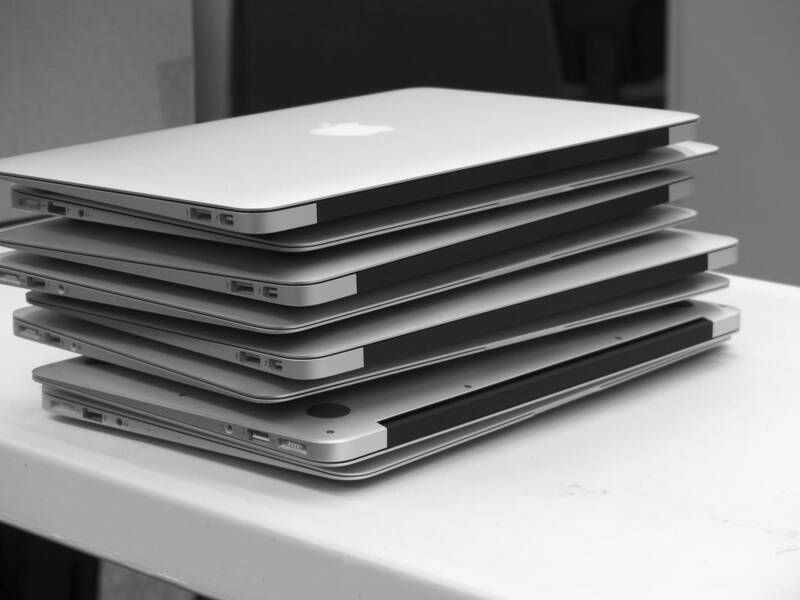 This year students received brand new MacBook Airs - but there was a catch. Also new this year is GoGuardian. GoGuardian is a piece of software purchased by the district to monitor students’ internet usage both in school and at home. The program reports any attempt to reach pornographic websites to the Technology Department. According to Scott Nason, the district’s Director of Technology, the principal at each building signed on to the use of the program. Potential consequences for students caught attempting to access inappropriate material include a call home and/or loss of laptop privileges. According to BEHS Interim Principal Mrs. Lori Napolitano, GoGuardian has caught two legitimate offenders since its presence was made known to the students in November. There were approximately 15 incidents earlier in the school year from repeat offenders, but these incidents were forgiven and wiped clean. Mr. Nason has assumed the responsibility of moderating GoGuardian reports so that only legitimate alerts are forwarded to BEHS administration. Full enforcement of the district’s policies would be unwarranted and impractical, but the school has little interest in preventing students from checking social media when they are at home. The new changes come in response to reportedly heavy computer abuse last year that amounted to thousands of dollars worth of physical damage and numerous disruptions in classrooms. What students observed from the technology department at the beginning of the school year prompted hope: we received our laptops before the school year was set to begin and they were brand new 2015 MacBook Airs. Technology department staff members present at the laptop orientation meeting and in the technology department’s high school annex (commonly known as Room 109) were remarkably friendly. The effect of the new restrictions has yet to be measured by administrators, but the implications for students are obvious. While students are now prevented (at least partially) from subverting the will of the district, they have also been left largely incapable of solving any computer problems they have. Without administrator accounts, students are unable to install applications. This is a good thing when it comes to gaming applications like Steam and torrenting applications such as uTorrent (both of which have proved troublesome for the district), but it’s a bad thing when it comes to educational applications such as Logger Pro (instrumental for the science department) and 123D Design (used for digital 3D modelling). The aforementioned educational programs were eventually installed on all students’ laptops by the technology department, but only after a delay. Students who previously used Firefox for their main browser were disappointed to see that the only options this year are Safari and Chrome. Safari is unusable, since it requires for many websites security certificates that are blocked by the district’s restrictions. Chrome has been troublesome on many student’s laptops, often failing to load simple websites like YouTube and Google Drive. Many students (and even teachers) reportedly have to load each Google document three times before all of the page become available. At the beginning of the year, students were unable to add their own printers, which forced them to embark upon time-consuming walks to printers elsewhere in the school. This year’s laptops have demonstrated a tendency for encountering network problems, and because students are prevented from making any changes to the wireless adapter, the only solution is often a full restart. Student abuse of technology amounted to wasted time in the classroom and numerous damages. Tighter restrictions will mean fewer repairs this year. perhaps, the state) would force a neon green wallpaper upon its students. Because there’s no way to disable the lock screen on student laptops, it’s incredibly unlikely someone could find a missing laptop and be prompted to return it by looking at the desktop wallpaper. There is value in the idea that students should be allowed to make the most of their school computers in appropriate ways. The school’s objective is to educate students in classrooms, but students also learn outside the classroom when they download creative programs like Adobe Premiere or coding applications like Python. Though it would be foolish to imagine teenagers spend all or most of their recreational screen-time doing educational things, setting sweeping restrictions denies them the opportunity outright. If the district’s mission is to have computers that will be used exclusively for the dictionary application and sending school emails, they are narrowing in on making that happen. But perhaps that’s not what’s best for anybody. 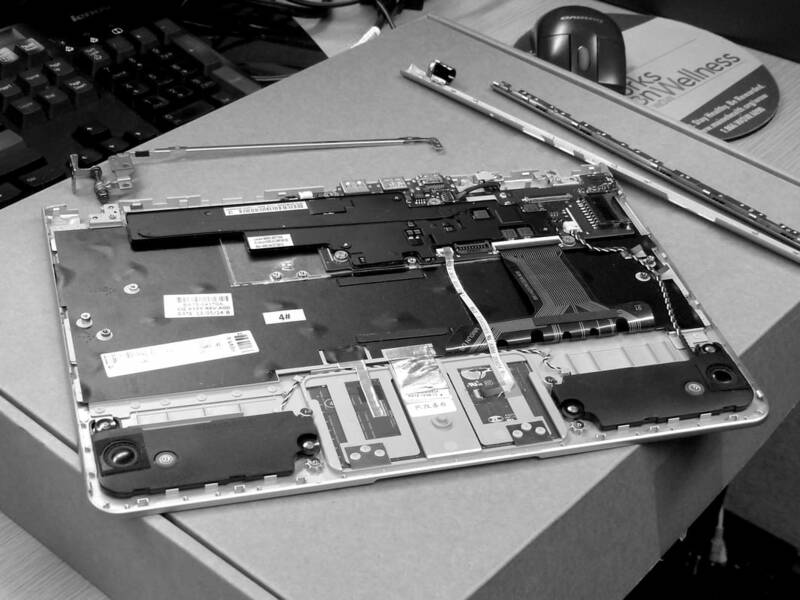 Our school laptops should be tools that open up new opportunities. When the MLTI began in 2002 as a result of collaboration between then-Governor Angus King and the State Legislature, it was one of the first technology initiatives of its kind. Maine became the first state to equip all of its students with a laptop. Those involved with the founding and development of the initiative carried big hopes for the potential impact it would have on students. ​ The district should consider other methods to combat the abuse of technology, such as more consistent enforcement of consequences for students and/or larger fines for instances of physical damage. Holding students accountable for their own actions teaches them to be more responsible, but holding students accountable for the actions of others is unfair. While the school may claim that no student is entitled to a laptop (let alone relatively unrestricted computer use), it should act on the district’s stated mission, which is to help all students succeed.